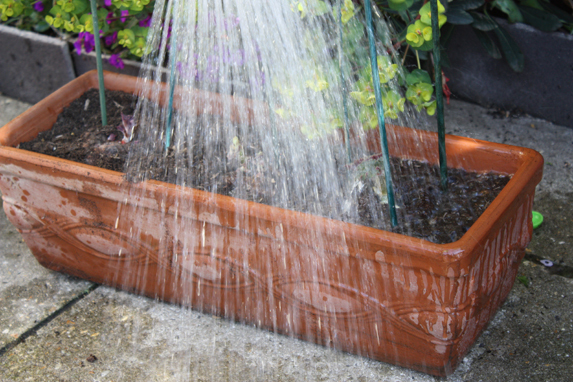 Begonias require free draining conditions. 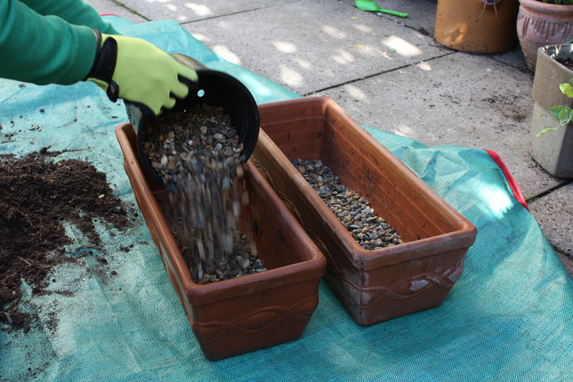 Line your chosen container with an inch or so of gravel, broken crocks or grit, for good drainage. 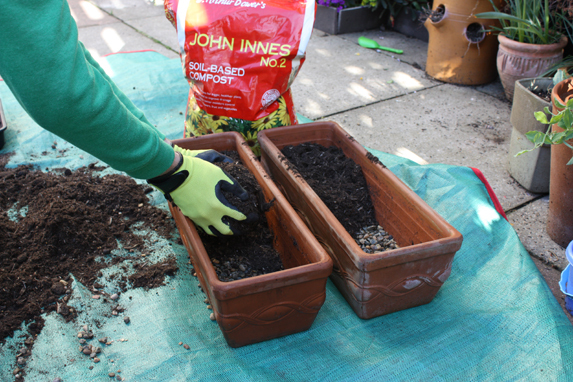 Fill the pot with a multipurpose and John Innes no.2 compost mix. Gently firm, leaving one inch (2.5cm) of pot rim on show to aid watering. Set your tubers in place, I’m using three per pot. 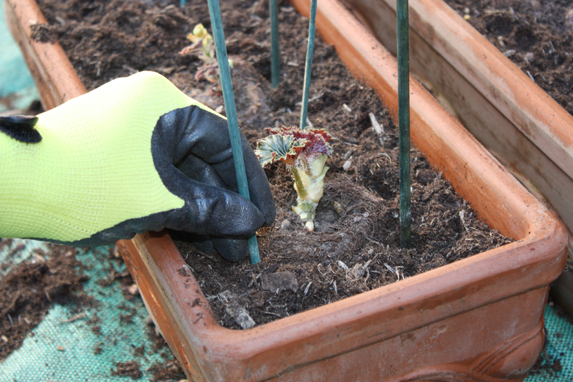 Push firmly into the compost, leaving the tops uncovered, to avoid them sitting wet after watering. 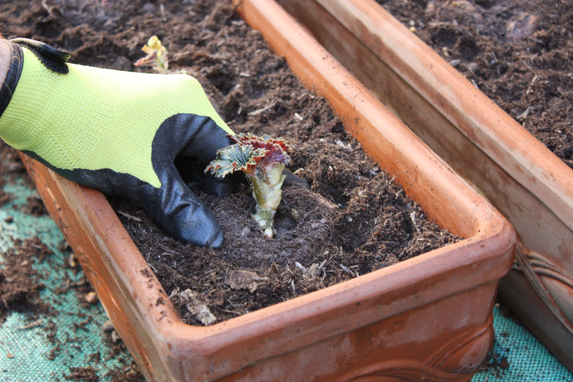 Begonia growth is brittle and easily breaks so set stakes in place early on. 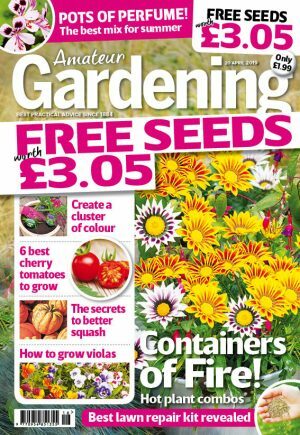 Insert three peasticks around each tuber. Tie in growth regularly. Mulch with gravel. Water in and keep covered by night for another two weeks or so. After this first drenching avoid letting water sit in the tuber crowns.